Haaretz newspaper has affirmed that the Israeli authorities refused to compensate for the damage which extremist Jewish settlers had caused last June to the Palestinian Church of the Multiplication at Tabgha near the Sea of Galilee. The Israeli authorities even refuses to repair the extensive material damage which the Church has sustained in the settlers' arson attack, the newspaper added. Haaretz newspaper quoted Father Nicodemus Schnabel, spokesman for the Benedictine Order in the 1948 occupied lands, as saying that the Israeli property tax authority had informed the Church leaders that it would not pay any compensation for the fire damage at the pretext that it was an anti-Christian hate crime and not a terror attack. The Israeli occupation police said they closed the case of the Molotov cocktail attack on a Palestinian house which happened about two months ago in al-Khader town, south of Bethlehem, at the pretext that the perpetrator was unidentified. According to Yedioth Ahronoth newspaper, the central investigation unit of the Israeli police announced its decision in this regard in a letter sent to the Israeli group "Rabbis for Human Rights (RHR)," which helped the victimized Palestinian family file a complaint on the attack. RHR, for its part, expressed doubts that proper investigation methods were used to track down the attackers. The attack took place in early October when Jewish settlers tossed Molotov cocktails into the house of a Palestinian family in al-Khader town, but luckily none of the incendiaries caused fire. The same settlers also damaged 33 grape seedlings, tomato saplings and raspberry trees near the house. The Israeli Occupation Forces (IOF) arrested Tuesday evening a Palestinian citizen at a military checkpoint erected near Qalqilia. Local sources identified the detainee as Anas Bakir. The detainee was then taken to unknown detention center, the sources added. Meanwhile, dozens of injured were reported as clashes erupted in Naqar neighborhood west of the city. During the clashes, a local home was completely burned after being targeted by Israeli forces with tear gas bombs. A group of Israeli settlers set fire on Monday to dozens of Palestinian-owned olive tree in Burin town south of Nablus. 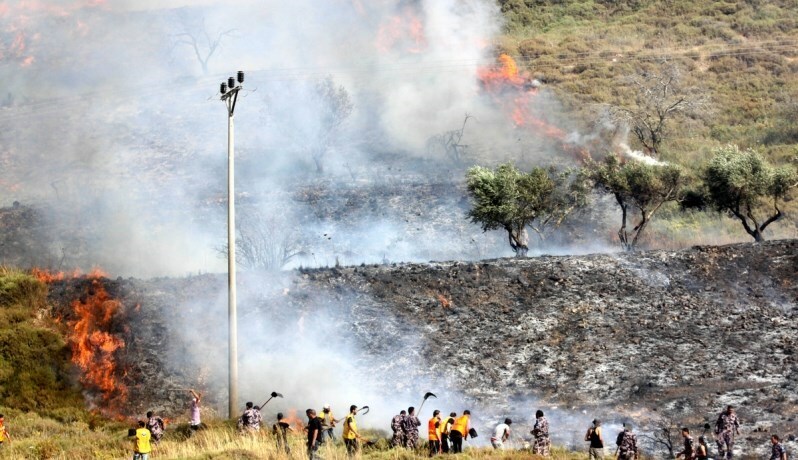 Local sources told PIC reporter that nearly 20 Israeli settlers from Yitzhar settlement, illegally built at Palestinian lands, set fire to a Palestinian-owned agricultural field east of the city. Dozens of olive trees were burned during the settler attack, the sources added. 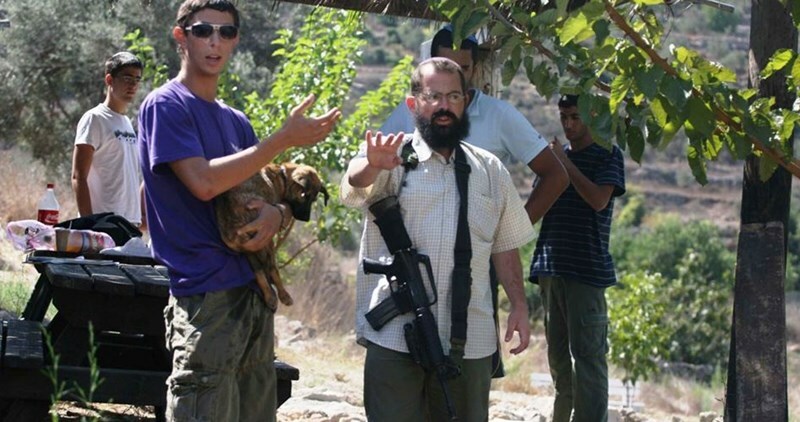 A week ago, a similar attack has been reported in the same area where a group of settlers stole the olive harvest. Farmers in the West Bank who depend on Olive season for their livelihood lose about 10 million dollars every year due to Israeli settlers' attacks on them and their olive trees. Israel’s so-called price tag gangs at dawn Sunday burned down a Palestinian car and sprayed racist anti-Muslim graffiti in eastern Occupied Jerusalem. A PIC news correspondent quoted local sources as reporting that hordes of Israeli price tag vandals smeared racist graffiti in Hebrew language inciting murder of Arabs and Muslims. Price tag gangs have often desecrated Islamic and Christian sacred places of worship. Observers said the fact that such a terrorist mob has been granted a quasi-systematic immunity from the occupation authorities stands as a barefaced proof of the inherently sadistic and preplanned nature of Israeli terrorism against the Palestinian people and Islamic holy sites. 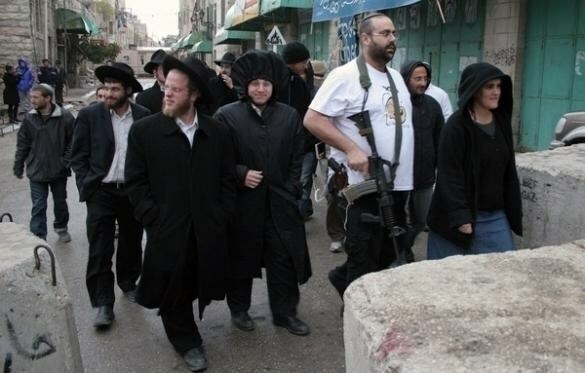 Extremist Jewish settlers Saturday stormed and torched dozens of dunums of Palestinians’ lands in Bourin town to the south of Nablus city in the northern West Bank. Eyewitnesses told the PIC reporter that the residents of Bourin town confronted Jewish settlers who torched their agricultural lands leading to spreading of fire to large wide areas. The eyewitnesses underlined that clashes erupted between Palestinian residents and settlers before Israeli forces reached the place for the protection of fanatic settlers. The settlers retreated after clashes to Yitzhar settlement and Israeli soldiers fired tear gas canisters at Palestinians. 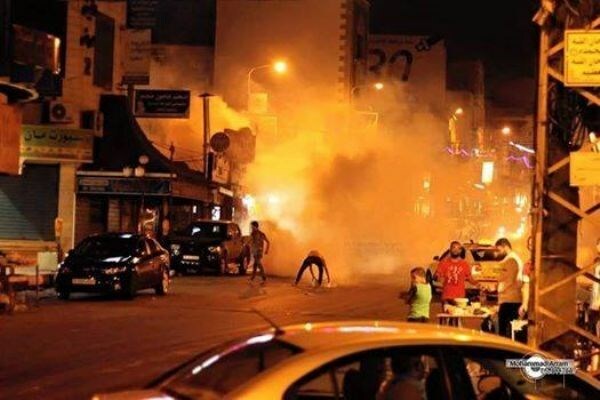 Medial sources have reported that 27 Palestinians were injured, late on Friday at night, during clashes with Israeli soldiers invading Abu Dis town, east of occupied East Jerusalem. 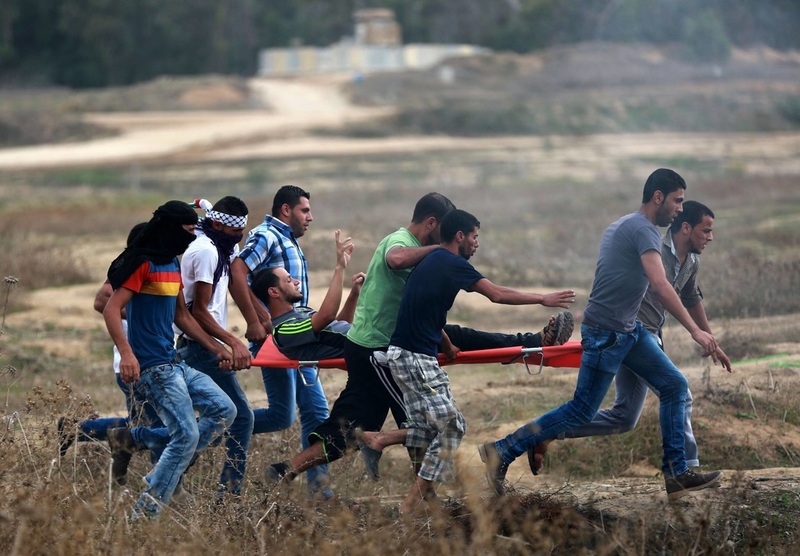 The sources said the twenty-seven wounded residents were shot with rubber-coated steel bullets, eight of them in the head, while scores suffered the effects of tear gas inhalation. The soldiers also deliberately fired gas bombs at two Red Crescent ambulances while trying to move wounded Palestinians to local clinics; one medic suffered the effects of tear gas inhalation. The soldiers fired dozens of gas bombs and concussion grenades in various directions, causing fires in a local kindergarten. 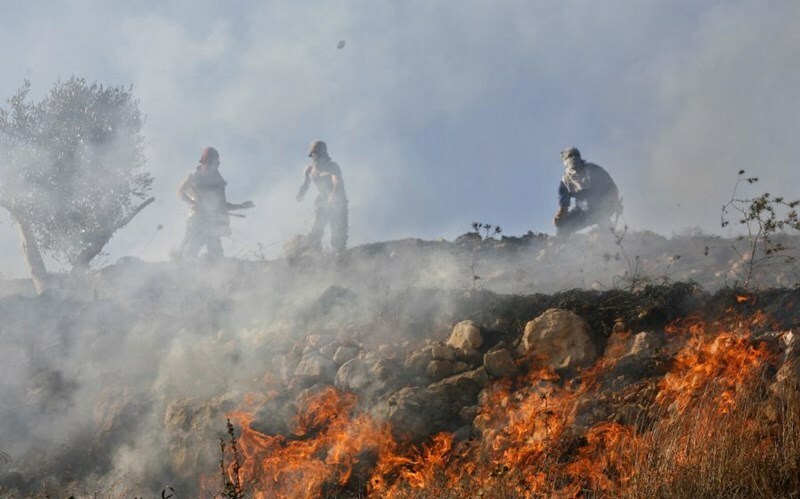 Dozens of Palestinians suffered the effects if tear gas inhalation, Friday, while around fifty trees were burnt, after Israeli soldiers invaded Kufur Qaddoum, in the northern West Bank district of Qalqilia, and assaulted the village's weekly protest. 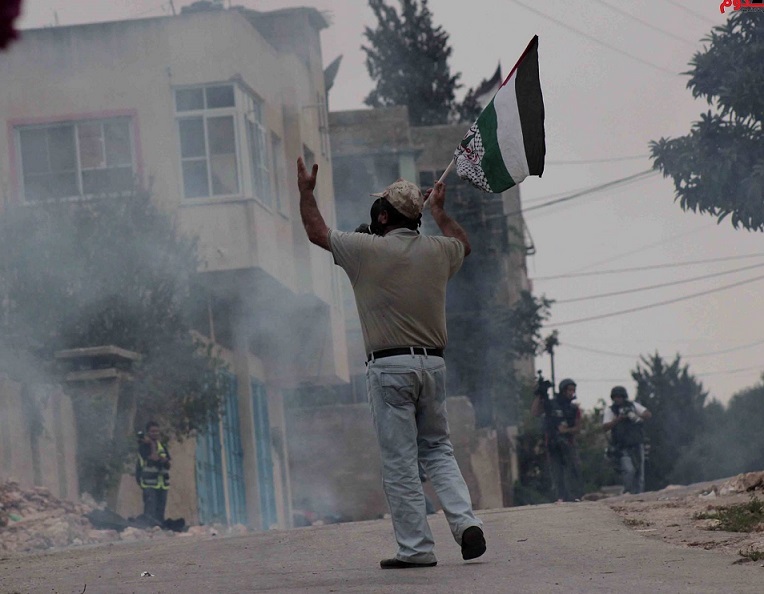 Coordinator of the Popular Committee against the Wall and Settlements Morad Eshteiwy said that, shortly after the protesters marched from the center of the village, the soldiers started firing rubber-coated steel bullets, and dozens of gas bombs, causing scores of protesters to suffer the effects of tear gas inhalation. Eshteiwy said that the soldiers also conducted training in Palestinian orchards belonging to the villagers, causing around fifty olive tree to burn. The army used excessive force against the nonviolent protesters, and tried to prevent them from continuing their procession, an issue that led to clashes with local youths, who hurled stones and empty bottles on army vehicles, and burnt car tires. 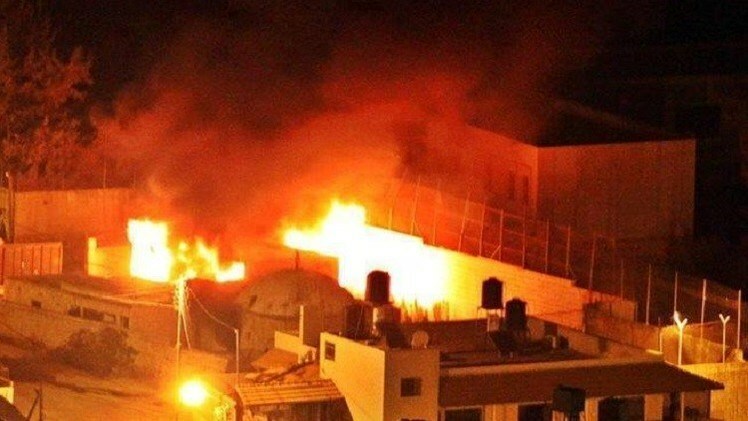 For the second time in less than a week, Palestinian young men at dawn Monday set fire to the mausoleum of Joseph's tomb, east of Nablus city. 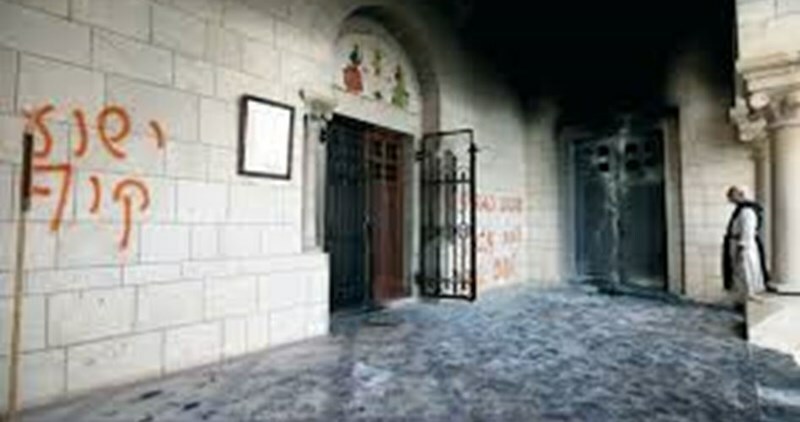 Eyewitnesses told the Palestinian Information Center (PIC) that young men threw Molotov cocktails at the rooms of the mausoleum, causing them to burn completely. They said that the arson attack happened immediately after a large number of Israeli troops, who stormed the city earlier, withdrew from the shrine and its vicinity. In another incident, the Israeli occupation forces raided several homes in Nablus and kidnapped two citizens. The IOF also stormed some homes in Beit Furik and Beit Dajan towns, east of Nablus, and handed three citizens summonses for interrogation form the Shin Bet in Hawara military base.